OSWEGO — Irene Scruton has joined SUNY Oswego’s School of Business as director of the college’s master’s of business administration programs, announced Richard Skolnik, dean of the school. Scruton, a former banking executive, was most recently executive director of the Safety Council of Central and Western New York, a chapter of the National Safety Council. As Oswego’s MBA director with offices both on the main Oswego campus and at the SUNY Oswego Metro Center in Syracuse, Scruton oversees the full-time and part-time MBA degree programs in management and accounting as well as the online MBA program. Oswego also offers three combined bachelor’s/MBA programs, yielding bachelor’s degrees in accounting, psychology and broadcasting plus the MBA. In the most recent rankings, U.S. News & World Report has recognized Oswego’s online MBA program in particular for its high quality. Oswego’s School of Business is accredited by AACSB International — the Association to Advance Collegiate Schools of Business — and is included every year in Princeton Review’s guide to best business schools. Scruton brings to the director’s position experience in business, education, government and association management. Under her leadership, the Safety Council of Central and Western New York grew from a local distributorship to a fully accredited chapter serving Upstate New York. It was recognized as a “Hall of Fame” chapter for performance and program development. Before joining the council, Scruton worked as a senior banking executive in Buffalo and Syracuse, primarily in lending and subsidiary operations, and with SUNY Empire State College developing workforce training programs. In the community, Scruton, a resident of Jamesville, serves on the Syracuse Regional Airport Authority. She is a town councilor in DeWitt and serves on the NYPenn Girl Scouts board of directors. She will also serve as a volunteer member of the Safety Council’s board of directors. She recently served on the board of the Onondaga Community College Foundation. Last fall, she received the “Women Who Mean Business” Award from the Red Cross for the Central New York region. She was also named a Woman of Distinction by the Central New York Girl Scouts. Scruton earned her bachelor’s degree from the SUNY University at Buffalo and her MBA from Syracuse University. 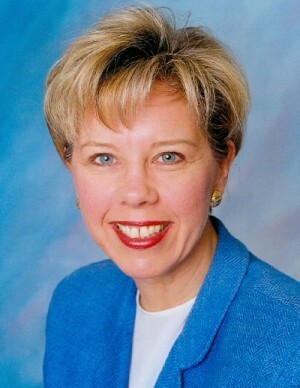 She is a graduate of Leadership Greater Syracuse, where she has served on the board of directors.